Assistance League of Bellingham: Awarded $5,000 Community Support grant for Operation School Bell, to provide school clothes to children from low income families. Clallam-Jefferson County Pro Bono Lawyers: Awarded $5,500 Community Support grant to support drop-in civil legal aid for low income clients. Easter Seals Washington-Olympic Peninsula Autism Center: Awarded $5,000 Community Support grant to purchase therapeutic equipment for Silverdale center. First Step Family Support Center: Awarded $20,000 Community Support grant to fund volunteer coordinator to build volunteer program and expand capacity in Clallam County. Juan de Fuca Foundation for the Arts: Awarded $5,000 Community Support grant to sponsor Juan de Fuca Festival of the Arts performances for youth. Northwind Arts Center: Awarded $10,000 Community Support grant to provide summer educational scholarships for children from low income families in Jefferson County. Habitat for Humanity of Clallam County: Awarded $50,000 Affordable Housing grant for Neighborhood Revitalization Program. New Life Community Development Agency: Awarded $50,000 Economic Development challenge grant for construction of the Birkenfeld Economic Empowerment Center in Bremerton. Camp Beausite Northwest: Awarded $25,000 Community Development challenge grant for completion of Phase III of facilities expansion program, expanding the agency’s capacity to serve people with physical, cognitive and developmental disabilities throughout the region. Captain Joseph House Foundation: Awarded a matching Community Development grant with a maximum of $25,000 for capital improvements to the Captain Joseph House in Port Angeles. Central Kitsap Food Bank: Awarded $25,000 Community Development grant for purchase of a new box truck. Olympic Peninsula YMCA: Awarded $25,000 Community Development grant for start-up capital for the Sequim YMCA (formerly SARC). Volunteers in Medicine of the Olympics (VIMO): Awarded $50,000 Community Development grant for expansion of the agency’s dental services. The Foundation’s next open application period will begin on July 1, 2016. 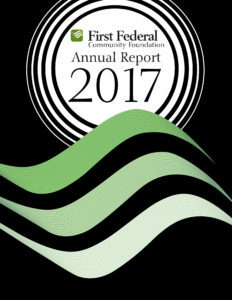 Interested parties can access grant guidelines and the grant application form via the Foundation’s website at www.firstfedcf.org. 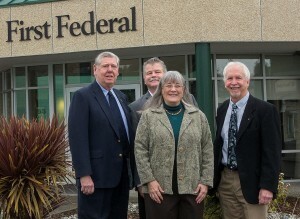 First Federal Community Foundation in the News! Ten Local Nonprofits Receive $441,300 in Gifts Awarded by New Foundation. Volunteer Hospice of Clallam County: Awarded a $10,000 challenge grant for renovation of Hospice House facility in Port Angeles. Boys and Girls Club of the Olympic Peninsula: Awarded $10,000 for the Summer Lunch Program, which provides free nutritious meals and snacks at ten locations in the Port Angeles and Sequim school districts. Quilcene Historical Museum: Awarded $5,000 for improvements to the historic Hamilton-Worthington House in Quilcene. North Olympic Regional Veteran’s Housing Network (“Sarge’s Place”) Awarded $31,300 for improvements to Sol Duc House in Forks. 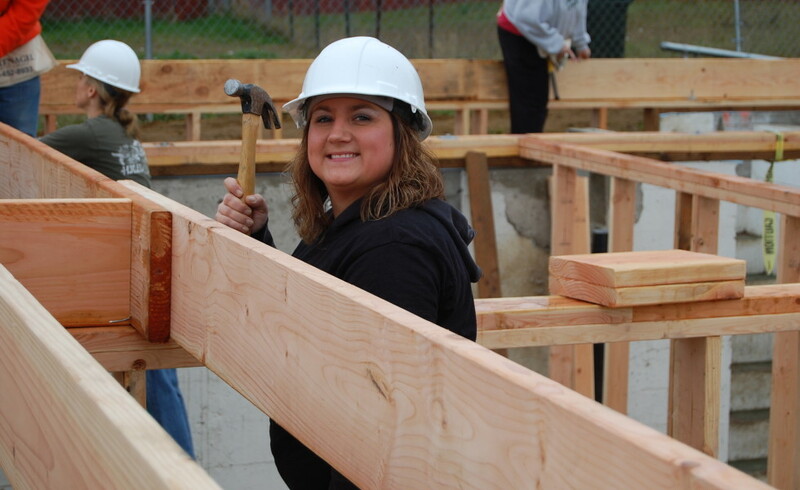 Habitat for Humanity of Clallam County: Awarded $50,000 for materials to construct two homes in Port Angeles and Forks. Dungeness River Audubon Society: Awarded $100,000 for replacement of the stringers and decking on the Dungeness River Railroad Bridge in Sequim. Matthew Lutheran Church: Awarded a $25,000 challenge grant for kitchen upgrades to build capacity for the free community meals program in Port Angeles. Northwest Maritime Center on behalf of the Maritime Discovery Schools Initiative: Awarded $75,000 for ongoing curriculum development as part of the Port Townsend School District’s Maritime Discovery Schools Initiative. Centrum Foundation: Awarded $35,000 for purchase and construction of a new stage for McCurdy Pavilion at Fort Worden State Park, Port Townsend. Kitsap Regional Library Foundation: Awarded a $100,000 challenge grant for purchase of land for the new Central Kitsap library facility in Silverdale. The Foundation is currently accepting applications for its next round of funding. The deadline for submission of grant applications for this funding period is September 1, 2015. Interested parties can access grant guidelines and the grant application form via the Foundation’s website at www.firstfedcf.org. If you would like more information about this topic, please contact Karen McCormick at 360.417.3112 or email at karen.mccormick@firstfedcf.org.